Deas Construction, Inc. is committed to honesty, integrity, and quality, and will work with you every step of the way to ensure that your commercial or industrial construction project is done on time and under budget. Our goal is to provide you with a satisfying construction experience that will lead to a lasting business relationship for years to come. If you're an owner or a developer, we can build your new offices, churches, and industrial warehouses. As a Nucor authorized builder of their building systems, we can provide complete turnkey service taking it from dirt to keys. We do all the site work, such as pouring concrete and getting the materials. Our company will erect the structure, do the interior and exterior finishes, and perform the mechanical, electrical, and plumbing work. These buildings have a lower cost per square foot, with large open floor plans. By using Nucor, we are the only ones in the industry that can give a price guarantee as long as the customer meets the must-ship-by date. Even if steel has gone up, as long as you take the building by the must-ship-by date, the pricing is guaranteed. We offer self-storage as part of our design build services. Deas Construction, Inc. can design the building, help you with the unit mix layout, provide drawings, furnish, and erect the whole project. We serve existing self-storage clients, developers, and those who are looking to get into the business. Our company provides a complete turnkey package to keep overall costs down and within budget. 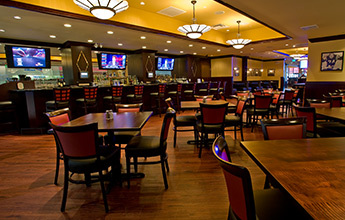 Deas Construction, Inc. can work with any size restaurant, such as mom-and-pop establishments, to build your restaurant from the ground up or within an existing space. We'll work with you through demolition services to an empty shell space through the complete building of the dining area, kitchen, and back-of-house spaces. 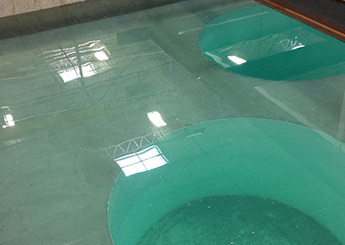 Our company does custom mill work, and our work and designs are high-end with an affordable cost. We'll help you come up with a design that doesn't break the bank or sacrifice quality. As your business expands, you might have to add more offices, freshen up your existing space with new paint, or get new floor coverings. We can modernize conference rooms with screens and lighting controls, updating HVAC systems, and maintain your fire alarms. We work with both existing business owners and startups. With a great, modern physical space, your clients will know where you are and understand your commitment to grow with them. We specialize in build-outs, and charge less per square foot than our competitors, while providing greater quality. If you have a new business, are looking to expand, or you want your own building instead of renting, Deas Construction, Inc. can do ground-up designs and space planning for your office. We can build from the plans you have, or we can create them for you with our design build services. With our experience in all sizes of construction, we'll work one-on-one with you each step of the way to keep you constantly in touch. Because we provide a full range of services, you'll always deal with the same person from start to finish.